“A Christian’s (property)…should grow and blossom into a place of beauty, demonstrating something of the wonder of the One who made plant life to produce seeds in the first place.” –Edith Schaeffer. 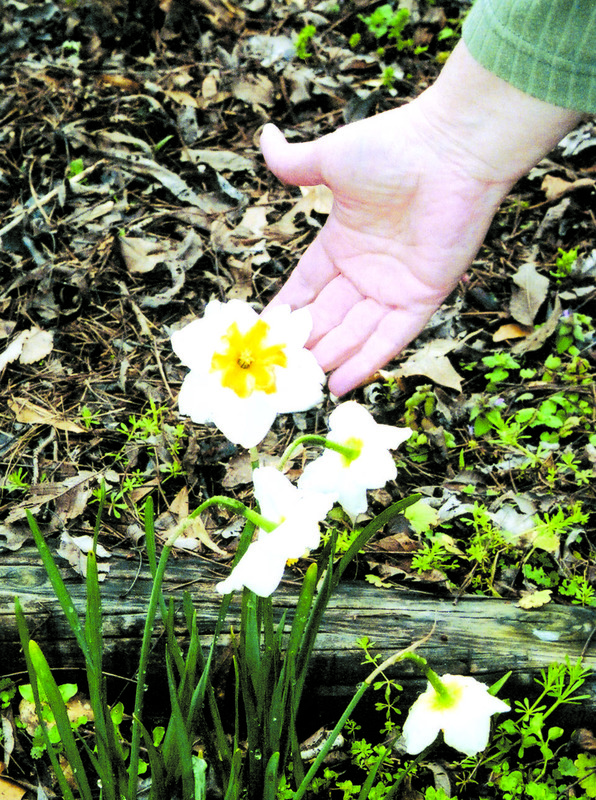 EDITOR’S NOTE: Every Spring when my daffodils are in bloom, I think of Snooky and Pam Lee of Carrollton. 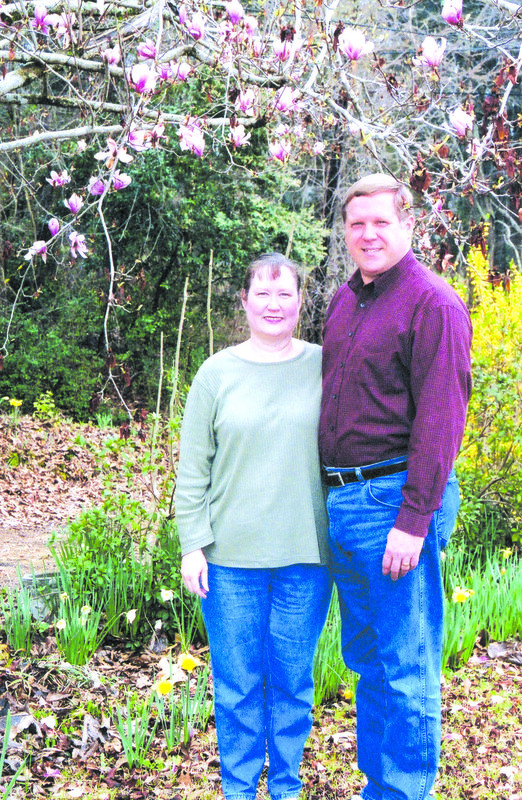 Back in 2007 I interviewed them for a story in The Conservative and then used the photos in an OUTDOORS column for North Mississippi Christian Family. My photos do not do the yard justice. But during the interview, Pam said Snooky took a bouquet of daffodils to church (Carrollton Baptist Church) one Sunday in March that featured 50 varieties of the flower. 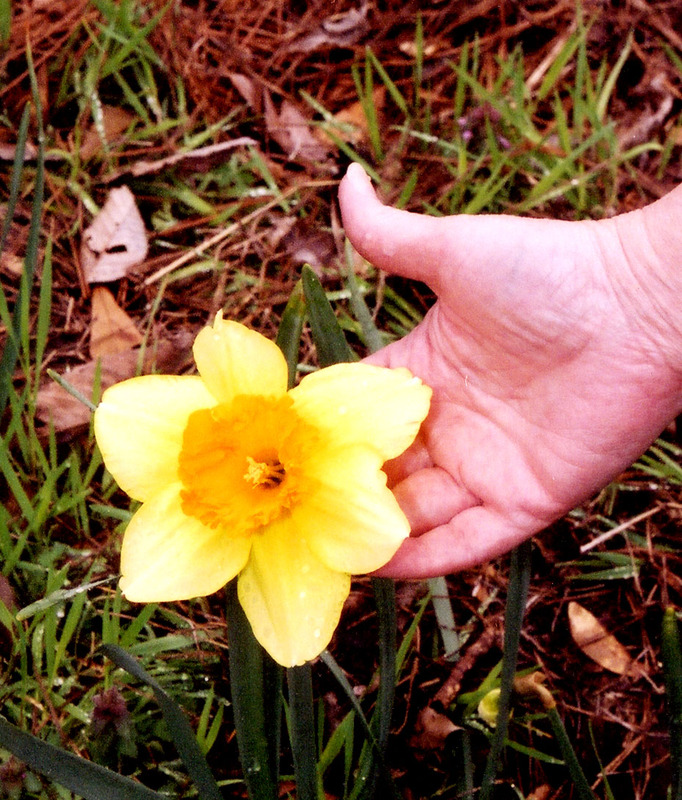 All I can say is “someday that will be me!” I will post my Peppertown Posies in a little while, but I wanted y’all to enjoy Pam & Snooky’s daffodils! 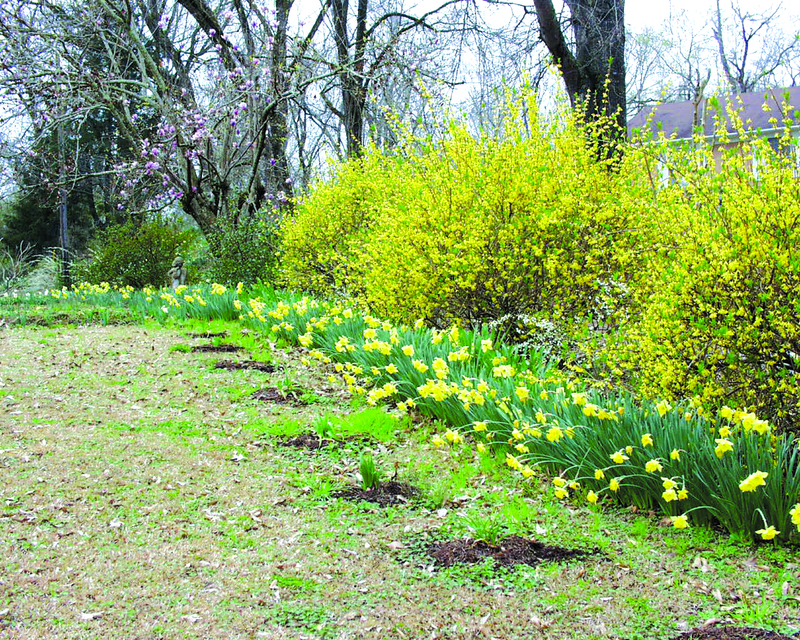 Snooky Lee of Carrollton definitely has the touch of the artist in his garden this Spring. 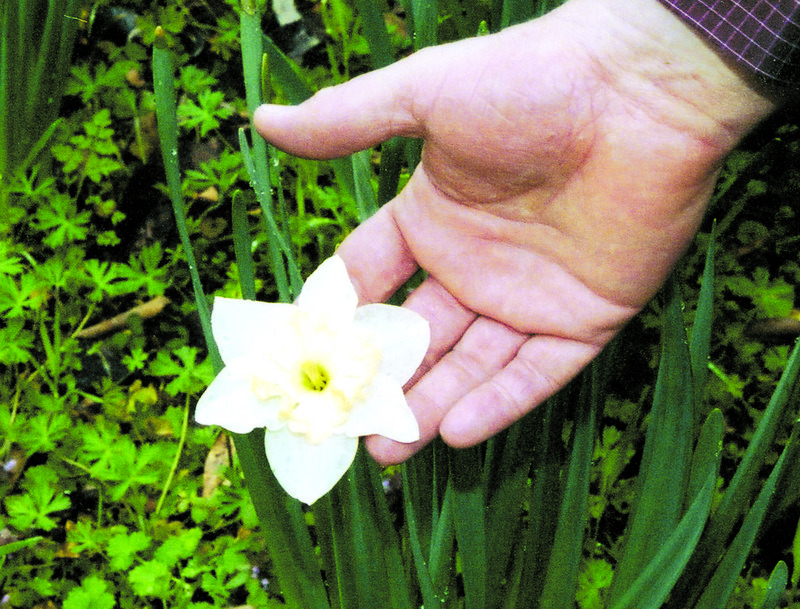 At one point last Spring, Snooky created an arrangement for his church, Carrollton Baptist, featuring over 50 varieties of daffodils from his garden. Shades of yellow vary from an almost white flower to a dark orange color as the delicate flowers brave the strange Mississippi winter to provide a sea of gorgeous color. 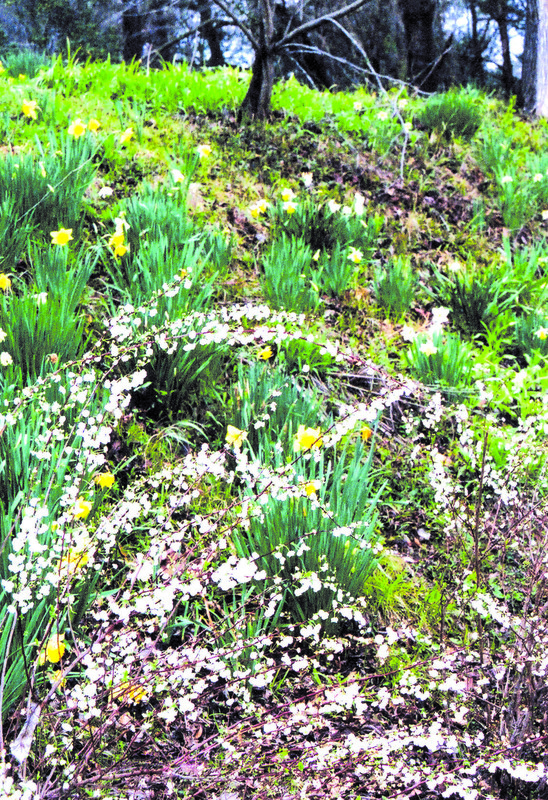 The hillside is in bloom at the Lee home in Carrollton this Spring. 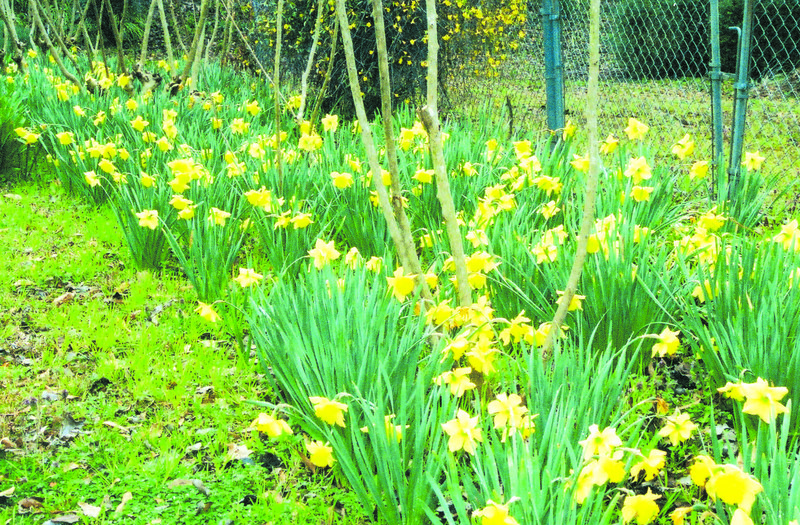 daffodils of all varieties are showing their pretty heads this month. 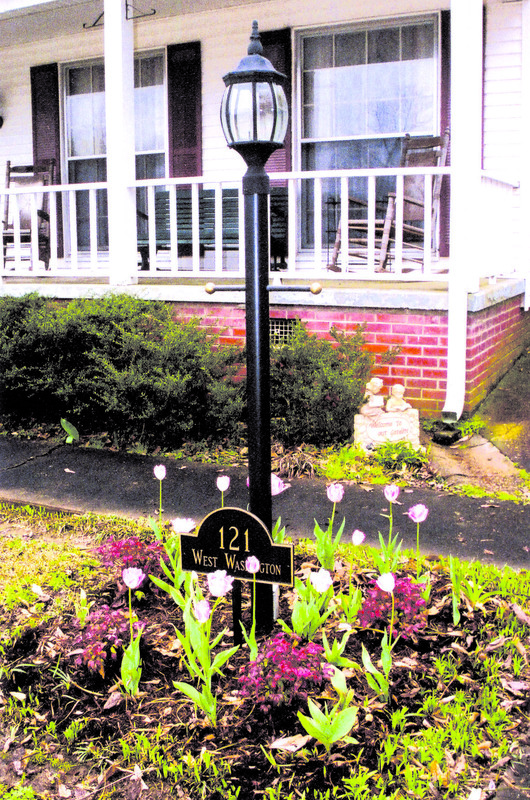 Spring in the Lee’s yard is a colorful bouquet of bulbs in bloom.